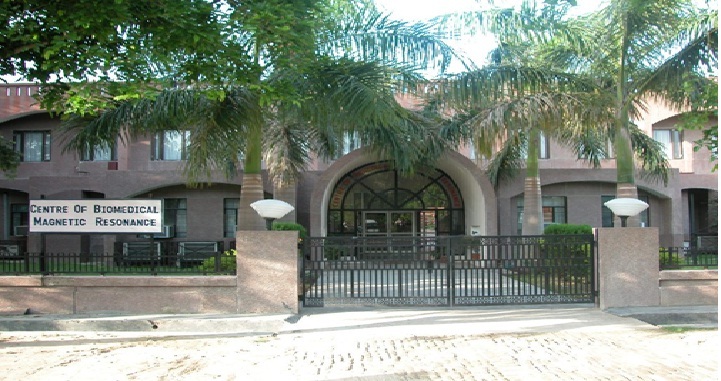 The Centre was conceptualized in the year 1999 and initially established as a unit of the Sanjay Gandhi Post graduate Institute of Medical Sciences in order to establish a close link among the basic and the clinical scientists and to generate appropriate human resource to fully exploit the potentials of an area of science (Magnetic Resonance) which has till date produced seven Nobel Laureates in all disciplines of science eligible for the award. This set the objectives for the Centre to carry out research in interdisciplinary aspects of Magnetic Resonance and to develop the appropriate human resource at the national level. The Centre achieved the objectives within a couple of years of its establishment. Considering the importance of the field, the Government decided to develop it as an autonomous Institution of the Government of Uttar Pradesh with its own Governing Council and management structure. Prof. C .L. Khetrapal an eminent scietist with vast experience in NMR research and Admistration beacame the foudner Director of the Centre. His contrbution in the establishment of the Centre can never be forgotten. Initially, the Centre acquired 800 (with cryo probe), 600 (Wide-bore) and 400 (with micro-imaging) NMR spectrometers, and a 3T MRI system along with the required support laboratories specially to carry out fMRI studies and synthetic chemistry for drug discovery and future research in the problems of clinical importance. The Government of Uttar Pradesh is fully committed to develop it as an advanced Centre of Bio-medical Research with close interaction with the premier medical and research institutions such as Sanjay Gandhi Post Graduate Institute of Medical Sciences, Chhatrapati Shahuji Maharaj Medical University, Central Drug Research Institute, Indian Institute of Toxicological Research, Central Institute of Medicinal and Aromatic Plants and National Institute Botanical Research all in Lucknow and the Centre of Behavioral and Cognitive Studies (CBCS), University of Allahabad. Keeping these aspects in mind and to broaden the scope, the Government changed its name from the Centre of Bio-medical Magnetic Resonance to “Centre of Bio-Medical Research” such that the scope is broadened while retaining the same abbreviation “CBMR” since the Centre already established itself internationally as “CBMR”. The Centre has its own Guest house and student Hostel. The staff Quarters are likely to be ready by the year-end. With all such support, the Centre is best equipped in the country in terms of its experimental facilities and infra-structure for research and training under its scope and objectives. In addition to the liberal support from the State Government, the research programs of the Centre are adequately funded by the Central Government agencies such as the Department of Science and Technology, the Council of Scientific and Industrial Research, the University Grants Commissions, the Department of Biotechnology and the Indian Council of Medical Research. Centre for Learning, Georgetown University Medical School, Washington D.C.